Special guest Josh "Sm1tty Sm1t" Smith of College News Magazine and Press A To Listen joins us on a pick n' flick adventure to determine the Best Failed Video Game Mascot. Also, Cullen luxuriates in his new workspace, and Greg shouts real loud about Kurushi Tektonics (also known as Intelligent Qube). [BONUS!] EXCUSE ME, WHY WASN'T CRASH BANDICOOT ON THIS LIST? This is why. 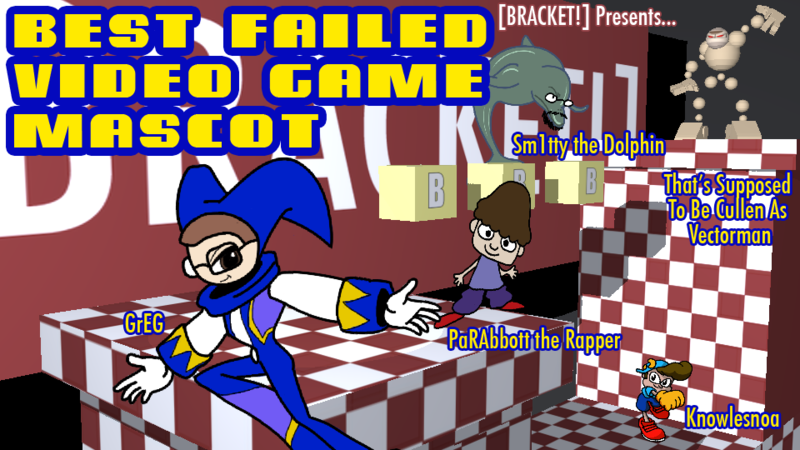 Posted on May 7, 2014 by Bracket Podcast and filed under with Josh "Smitty" Smith and tagged video games mascots special guest josh smith sm1tty crash was both too successful and a failure don't ask me blame john and jesse for that one seems ridiculous season 1.